The music business can often feel like a fast-moving train and though the scenery might be nice, it goes by in a blur. Joey and Rory have found a way to switch tracks, change pace and enjoy the ride. 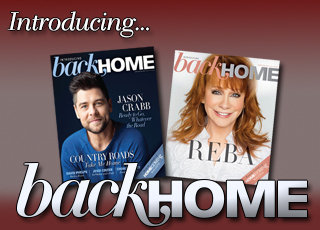 Instead of spending most of their time on the road, the couple found a way to invite fans from all over the world to their Tennessee home with a series of live concerts, including their annual Bib & Buckle Festival, and “The Joey & Rory Show” on RFD-TV. They’ve also made time to fulfill their dream of recording a gospel album, aptly titled Inspired. 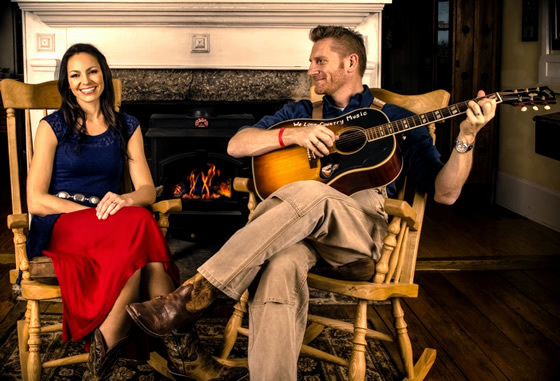 Joey and Rory like making music and performing live, but they also enjoy being home. With the TV show, they have the ability to reach their fans and spend more time on the farm, where Joey can indulge her passion for cooking and tending to her chickens. The show is filmed in the barn on their Pottsville, Tenn., farm — not far from Marcy Jo’s Mealhouse, a restaurant Joey runs with Rory’s sister Marcy. 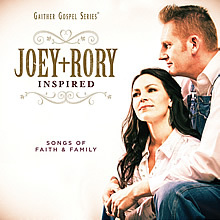 Inspired features a blend of beloved classics such as “Amazing Grace,” “In the Garden” and “Are You Washed in the Blood?” alongside originals such as “I See Him,” which the couple penned with daughter Heidi, and “Hammerin’ Nails,” a tune Rory wrote solo. “Gotta Go Back” is a song Rory co-wrote with country traditionalist Josh Turner, also a devoted believer. Joey and Rory have been married for 11 years, and it all started when she saw him perform at a songwriter’s night at Nashville’s famed Bluebird Cafe. One of Nashville’s most successful country songwriters, Rory has had songs recorded by Kenny Chesney, the Oak Ridge Boys, Clay Walker, Collin Raye, Blake Shelton and newcomer Easton Corbin. Joey was immediately impressed, but didn’t strike up a conversation because she mistakenly thought he was married. Time passed and she landed a record deal and was looking for songs to record when she connected with Rory again. At the time, she was dating someone, but it didn’t work out. When that relationship ended, she and Rory began dating. The busy couple has a lot on their plate. In addition to their TV series, Joey and Rory have plans to launch a new radio show with Nashville’s legendary WSM. They hosted their fifth annual Bib & Buckle Festival and will continue with their Farmhouse Concert series throughout the summer. They also have an endorsement deal with Kraft Foods, and have written a special song to be used for the Fighting Hunger Together Initiative. There are also plans for Kraft to shoot cooking demos at Marcy Jo’s Mealhouse. The restaurant features mouth-watering biscuits and incredible cinnamon rolls, and includes a charming gift shop upstairs in the loft. People come from all over the country for the good food and a chance to get a picture taken with Joey and Rory.